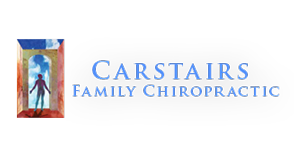 We value our patients' experience at Carstairs Family Chiropractic. If you are currently a patient, please feel free to complete the following Client Experience Questionnaire. The Questionnaire is in Adobe Acrobat format, and requires the free Acrobat Reader to view. Thank you Dr. Dean, you gave me my life back after 10 years of pain. As an evacuee from Fort McMurray, I was in dire need of an adjustment. Dr. Dean Allan just happened to have an opening at that very moment I walked into his office. His professionalism and calmness was exemplary; I knew I was going to be in good hands. I have seen a wide variety of chiropractors and physiotherapist for the last couple of years that all have different skill sets that they excel in. Well, Dr. Allan has them all!!! He adjusted me from head to toe....and WOW! I have never felt that great so soon after an adjustment! I haven't slept this great since sleeping in my own bed over 2 weeks ago. I honestly feel like a new person! Carstairs, you have AMAZING chiropractor that I will dearly miss when I leave!